I have a weakness… Hmmm… Seems like I might have started quite a few posts like that and, looking back, they all go on to address different topics… Oh well! This weakness is for tools that head off at right angles to the accepted orthodoxy of their day – that appear as if imagined in an information vacuum by someone whose thinking was unconstrained by what had gone before. Oddball, eccentric, call them what you will, but to me, these (almost always unsuccessful, and often crazily complex) inventions are fascinating and highly desirable! Today’s offering is one such ‘different’ tool. 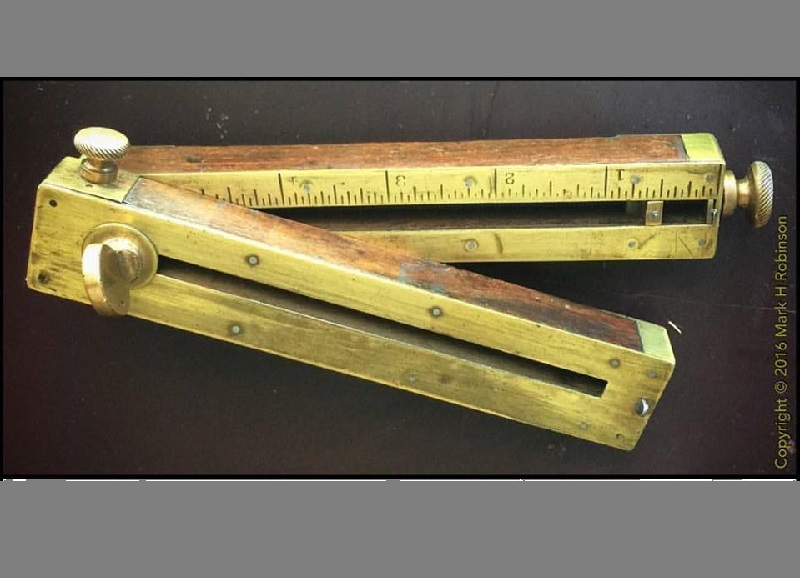 It is a marking gauge, of course, but instead of sliding a block on a bar (variants on which approach characterize 99% of marking gauges) it comprises two sliding, swiveling blocks, and offers three marking surfaces, enabling some quite complex markups to be done from a single setting of the device. 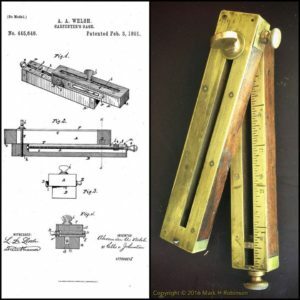 Alexander A. Welsh, of Allegheny, Pennsylvania, was awarded the patent on February 3, 1891. This also fascinates me – I was Welsh before I became an American citizen, and the state of Pennsylvania was originally colonized by Welsh non-conformists seeking freedom to practice their religion, amongst them one William Penn.